The cats have had it with humans. Yes, it is indeed time for new leadership. So support the cats’ cause or sleep on the floor, because either way they’re taking over the bed. 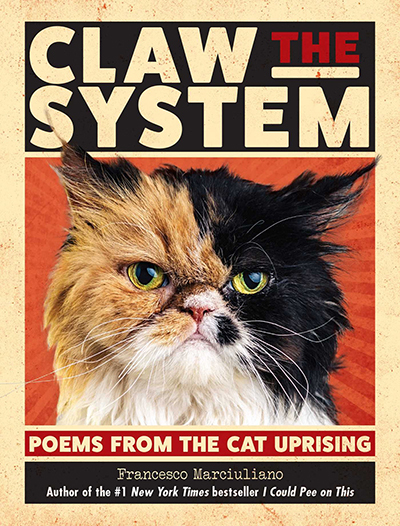 CLAW THE SYSTEM: POEMS FROM THE CAT UPRISING. ON SALE OCTOBER 16TH. ORDER NOW!